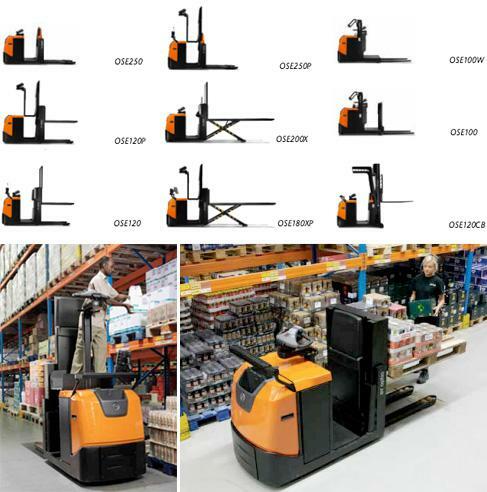 The BT Optio L-series range consists of nine distinct models of low-level order picker, with various options in load capacity, picking height and fork length. 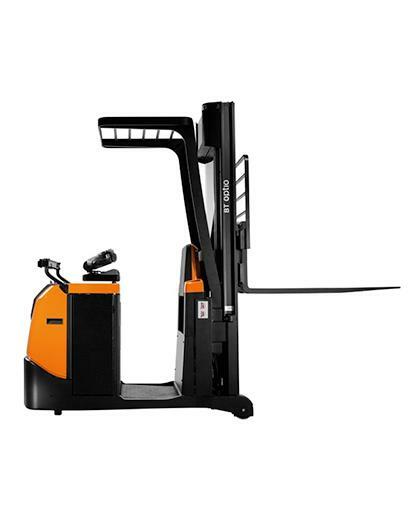 The L-series range includes models with elevating truck forks for improved ergonomics and models with elevating platform for improved efficiency and productivity. With fork lengths up to 3375 millimetres and picking heights up to 2.8 metres, drivers can choose from a variety of features to suit their material handling needs. All trucks in our L-series range include BT Powerdrive, an integrated drive and control system that provides excellent truck performance and efficiency. The OSE250(P) is available with Li-ion battery for multi-shift operations. For increased picking productivity a number of trucks can be equipped with a remote drive feature. Designed for high intensity order picking applications, the BT Optio models have a maximum load capacity of 2.5 tonnes and offer picking heights up to 2.6 metres, suiting both first and second level order picking. 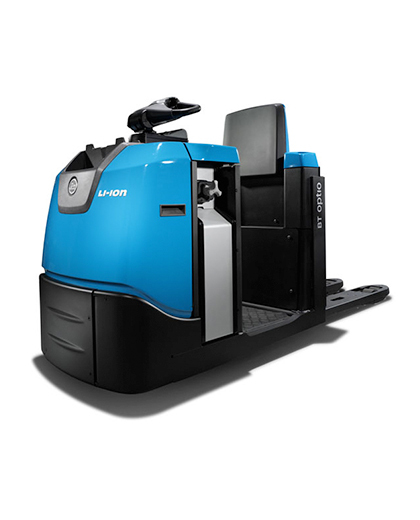 All L-series order pickers offer fast travelling speeds and an easy on/off function, allowing for shorter operating times and improved truck manageability. 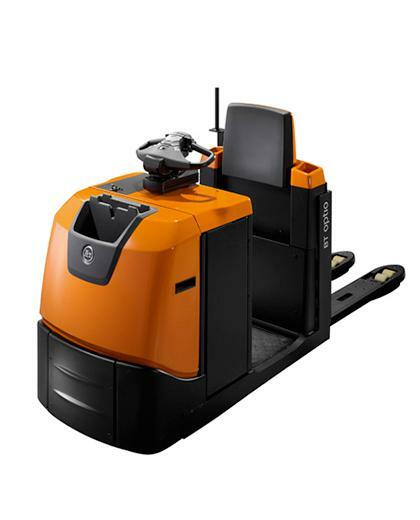 Unique features such as automatic speed reduction and E-man steering enhance forklift safety and driveability, maximising operator performance. Our BT Optio L-series includes models with elevating platform and lifting forks for optimum safety and more ergonomic picking. Suitable for first and second level picking, our OSE100 and OSE100W models in the BT Optio L-series allow the load carrier to move together with the platform, providing increased efficiency for higher picking. 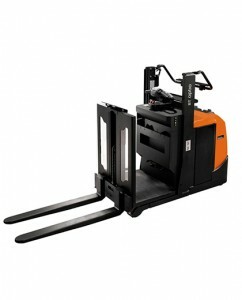 The OSE100W offers open access to the load carrier, making it easier for operators to handle heavy materials, whilst the OSE100 includes waist-height forks for improved ergonomics during the loading and unloading of pallets. Both models are equipped with unique safety features, including automatic braking and speed reduction, and E-man steering control. Ideal for first level order picking and stacking, the unique BT Optio L-series model OSE120CB offers increased flexibility and a maximum load capacity of 1.2 tonnes. Capable of handling closed pallets, the OSE120CB is equipped with L-series automated safety features and energy efficient AC power. E-man steering control with touch-sensitive activation allows for easy and efficient operation, with stacking heights up to 4.15 metres. This version of the OSE250(P) has the same characteristics as the current one in terms of speed and capacity, but is fitted with a Li-ion battery which helps to maximise your productivity and cost-efficiency in multi-shift handling operation. 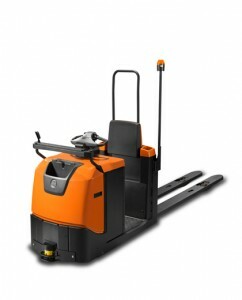 The remote drive feature gives the operator the freedom to easily move the truck forward without having to drive it. The operator simply walks next to the truck, always ready to pick goods from the racking to place on the truck. Wristband activation of the remote control keeps both hands available for picking goods at all times. Safety is kept high with the scanner that provides automatic obstacle recognition.